Now everyone can celebrate National Pasta Day! I received coupons for free pasta to promote national pasta day. Pasta is already a healthy food as it is loaded with healthy carbs and vitamins. For some people, pasta is a bad thing as they have gluten problems. Well, gluten-free people can rejoice and celebrate National Pasta Day. 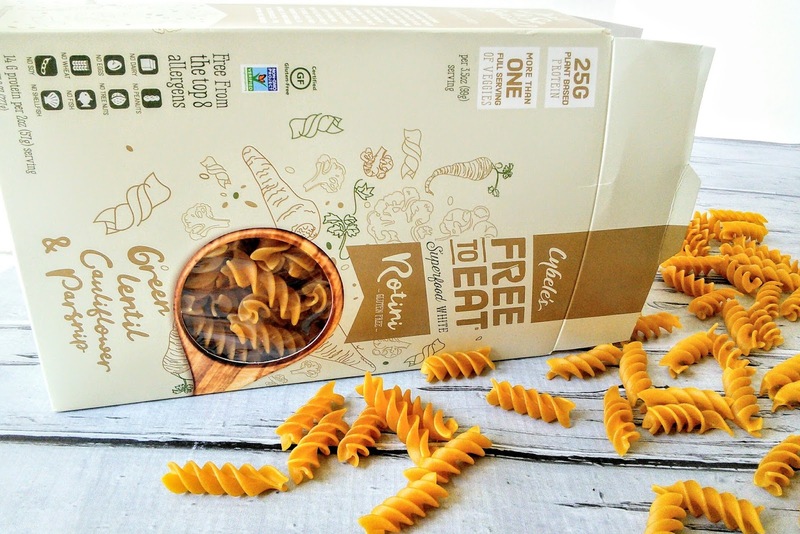 Those who want to eat healthier will also like Cybele's Free To Eat Rotini. I love this pasta for its pretty colors. Purple pasta is the best! I love how this pasta gets its color from veggies and it is also loaded with 14 grams of protein. 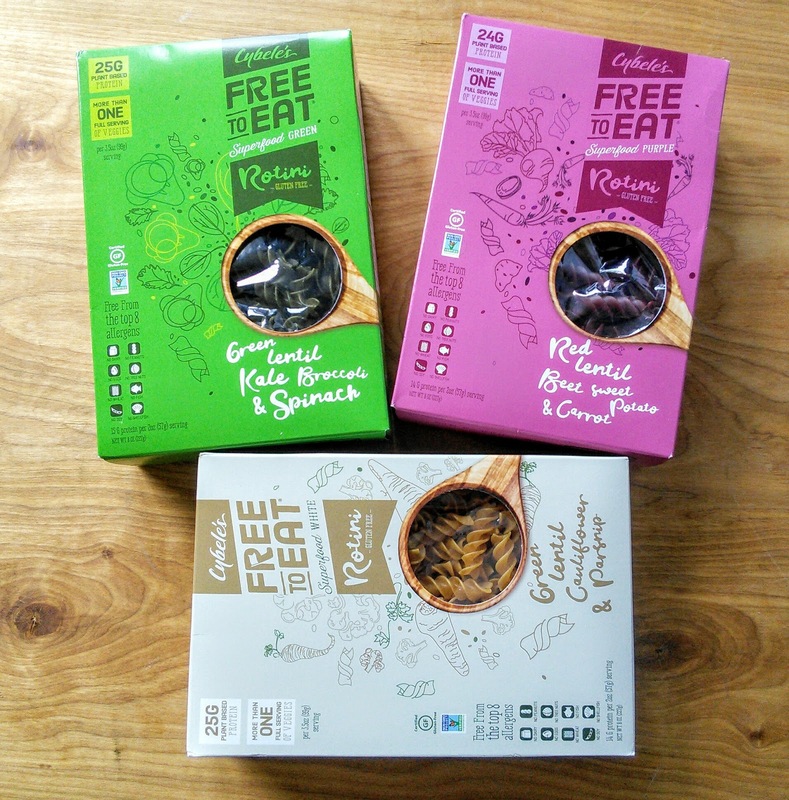 Free To Eat also comes in other pretty colors like green, red, white, and orange. Don't worry about eating this superfood if you have other allergies as it is free from the top 8 allergens. 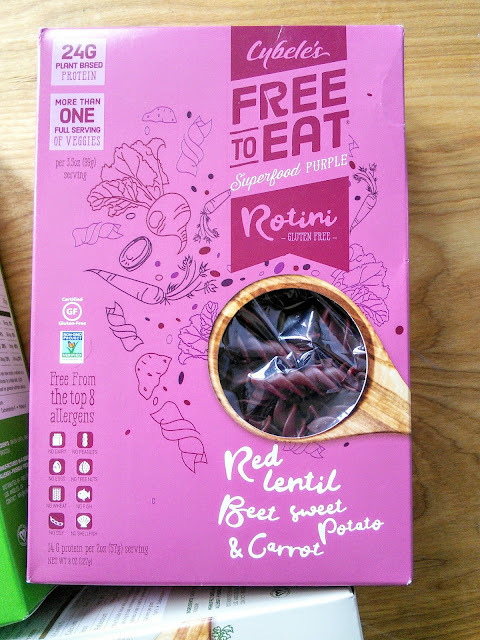 It also has twice the fiber(compared to regular pasta) and more than a full serving of veggies. 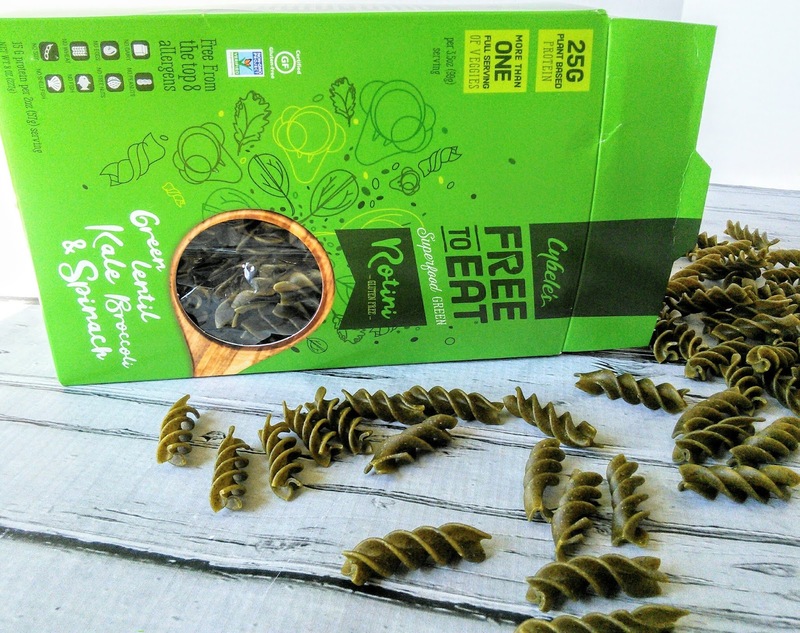 So rejoice and enjoy some healthier pasta on National Pasta Day on October 17! The purple one is my favorite. I love that it gets its cool color from red lentils, beets, sweet potatoes, and purple carrots. The rotini had a nice flavor to it and tasted very similar to regular pasta. I know that a nice red or white pasta sauce would look so pretty on it. 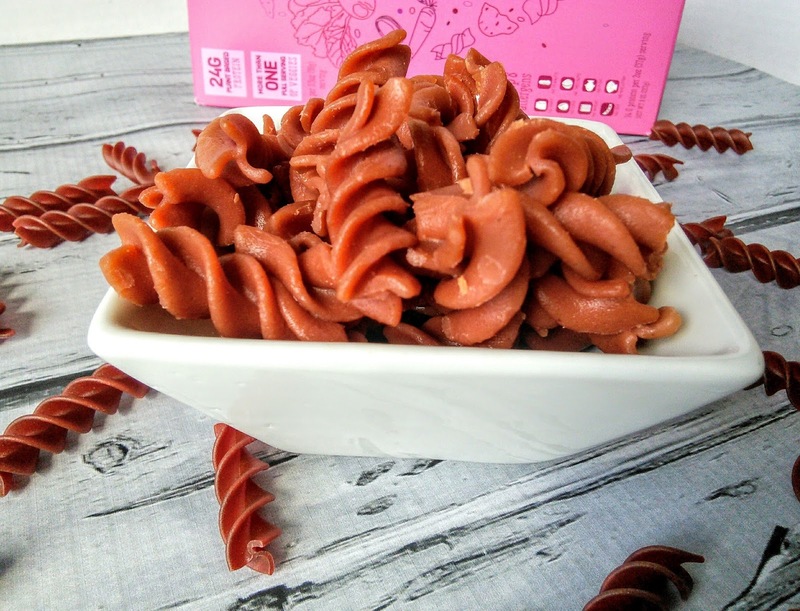 How delicious would roasted beets be with this pasta? I am not much of a green food person but I do want to try the Superfood Green for all the wonderful nutrition in it. A red tomato sauce would help cover up the green color. 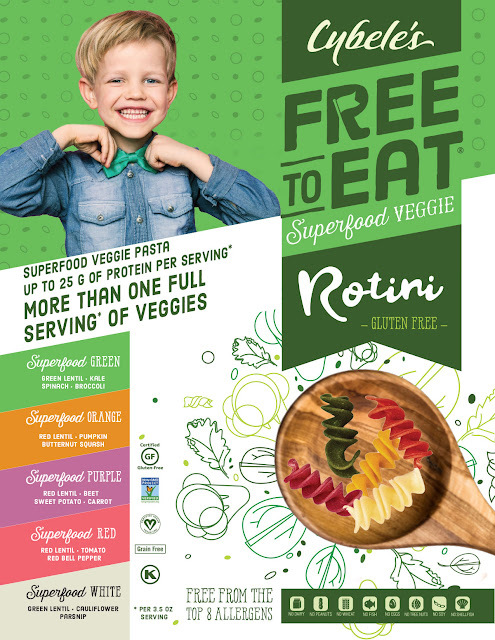 The Superfood White looks just like regular pasta and would be a great way to get protein and veggies into my boy's diet. The younger boys love cheese on their pasta so this would make a healthy mac and cheese dish. I was not able to find the Superfood red and orange at my store but I so want to try those flavors. The Superfood orange has pumpkin and butternut squash in it, mmmm! So celebrate National Pasta Day the healthy way with Cybele's Free To Eat Rotini.